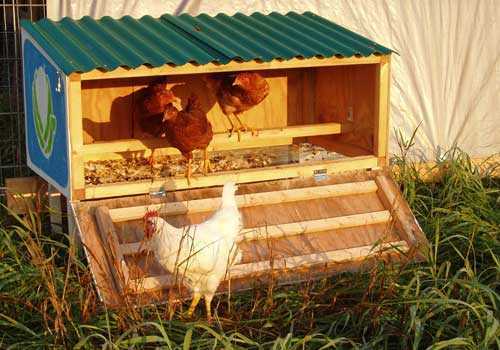 Healthy, fresh eggs can be right outside your door! Thanks to the tireless effort of our amazing partners, our influence is expanding! Our evidence-base from schools, communities and head starts, has led to a new sector, corporate health and wellness. How do kids fit into corporate wellness and obesity prevention? To begin, employees are also parents. Many parents wish to instill healthy living habits in their children. Working parents are more likely short on time and not sure of the best approach. Secondly, children are dependents on company health care policies. So, their wellbeing has an impact on the bottom line. As childhood obesity continues to affect youth, corporations recognize the potential impact they can make by investing in obesity prevention for children in schools and communities. Sponsoring turnkey, evidence-based school and community-wide programs and events, as part of a year round initiative where children and families spend their time, are steps in the right direction, not to mention great opportunities for public relations. Coupling this outreach with consistent messaging in the workplace provides further opportunity for family engagement. In terms of corporate wellness and obesity prevention, this topic is important because children are the future pool of employees. Empowering children with skills to live healthy and giving them tools to build a foundation of healthy habits makes for a promising future workforce. A workforce that is more productive, vibrant and robust is much better than one filled with missed days, working while sick, and other issues that contribute to enormous, and growing, health care costs. Extending the impact of corporate wellness programs into the home and community may help achieve the two-fold goal of healthier, happier employees and dependents and the impetus to turn the tide on the obesity trajectory. We are so appreciative of the tireless efforts of health educators ‘in the field’ – from teachers, county Extension Agents, nutritionists, nurses, etc. As parents take initiative and more resources are available through corporate channels, it follows that the positive impact could be exponential! Click here to continue reading about this issue and to see how promoting family and community engagement is an investment toward a healthier bottom line and happier, more productive employees and families. Today we are featuring a fantastic program that is working hard to create healthy kids in Oklahoma! Farm to You is a traveling interactive adventure for elementary school children that follows food from the farm to the market and through the body to explore the relationships between agriculture, food and health, ultimately showing how making good food choices positively impacts your health. How long has the Farm to You program been around in Oklahoma? How did it come about and what organizations helped the idea come to fruition? Farm to You is a collaborative effort of the Oklahoma Cooperative Extension Service (Family and consumer sciences, 4H and agricultural education programs), OSU Department of Nutritional Sciences, Oklahoma State Department of Health (WIC service) and Southwest Dairy Farmers. The program was developed to address major issues facing Oklahoma youth (i.e. low consumption of fruits and vegetables, sedentary lifestyle, increasing rates of childhood obesity, and high prevalence of tooth decay). 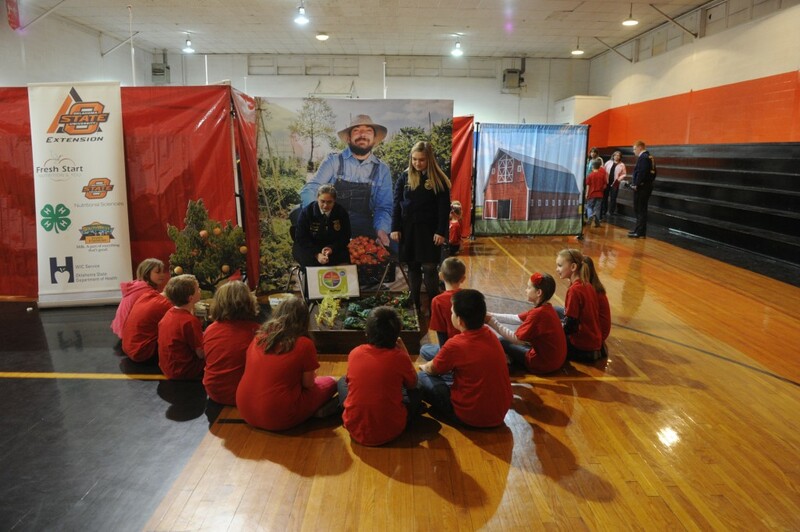 Since August of 2008, the exhibit has taught more than 100,000 elementary students about agriculture, nutrition, physical activity and health in 74 counties. What type of information do the kids take away after visiting the Farm to You exhibit? What kinds of reactions and feedback do you get from the students and teachers/school staff? Simply put, the exhibit is designed to involve kindergarten through 6th-grade students in learning how foods from the farm are used by their bodies for good health. We receive a number of different responses from the students and teachers. Primarily, teachers comment on how much their students connect what they learned during the Farm to You visit with the lessons they are giving. Student response is greatly varied, but students consistently comment about learning of the importance of a varied diet and maintaining good hygiene. We have really enjoyed working with students in Oklahoma through Oklahoma State University Cooperative Extension for a number of years now. How does the Farm to You program complement The OrganWise Guys healthy living messages? Farm to You and The OrganWise Guys programming complement each other very well. 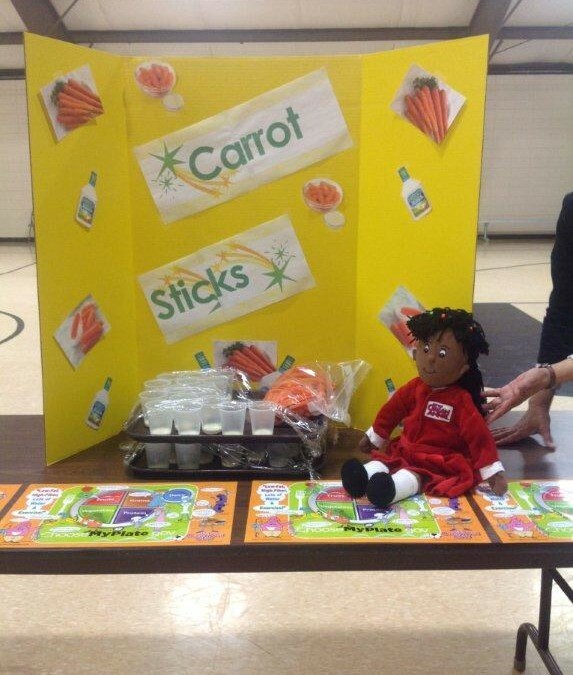 Students at schools using The OrganWise Guys curriculum have a solid grasp on nutrition education. These students engage in fruitful discussions with the station presenters, and ask thoughtful questions. Conversely, Farm to You provides an immersive, interactive experience that serves to reinforce The OrganWise Guys healthy living messages. If a school in Oklahoma is interested in having the exhibit come for visit, what is necessary for scheduling and how long does it typically take to get it confirmed on the calendar? Have between 250 – 450 students from K – 6th grades per day. Groups of approximately 10 kids will enter the exhibit every 6 minutes. Have 5 – 8 volunteers the day before to set up the exhibit and 5 – 8 volunteers to take down. No children should be present during set up. Have 10 volunteer station presenters to work from 8 am to 3 pm. It would be nice to have water bottles for them. 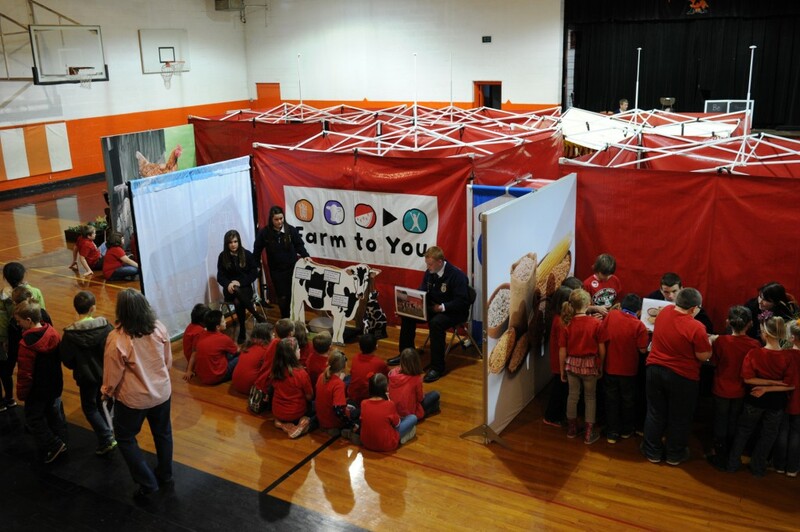 Presenters typically include: teachers, parents, grandparents, high school Future Farmers of America (FFA) or honors societies and OK Home and Community Education (OHCE) volunteers. Any school interested in scheduling the Farm to You exhibit should contact their local county extension office, or contact Cody Yount directly at least a month ahead of the date they are interested in hosting the exhibit. Since 1995, the third week in October has been deemed National Health Education Week (NHEW). It is sponsored each year by Society for Public Health Education (SOPHE) in an effort to bring awareness to major public health issues and the importance of understanding the health educators’ roles in promoting health across the country. Taste testing is a great way to introduce new foods to kids who are otherwise apprehensive about trying them. Fruits and vegetables are the perfect food to use in taste tests because there is such a wide variety of them and so many that are unknown to most. It’s a great way to teach kids about the benefits of certain foods and why it is important to eat them. Taste tests can be done in a classroom setting, the cafeteria, or even at home. Food selection – Determine whether you are doing one food or if you are doing a variety of a specific type of food. For example, will you be sampling an avocado or will you be sampling a variety of berries? Ideally you will pick foods that are in season for maximum freshness and it will save on the wallet as well. Food preparation – Make sure all food is washed, cut and stored in containers ready to distribute. This will save on prep time onsite, and allow for more tasting time. If you can be creative in the presentation of a food, such as using a star or heart cookie cutter for melon, or putting berries on a skewer, this can be more fun and tempting for kids. Go beyond taste – Involve the other senses for increased food awareness. Have the kids observe what the food looks like, what it smells like and what it feels like. This will enhance the tasting experience, while also putting their senses to good use! Nutrition education – Use this time to teach kids about the nutritional value of the food and emphasize the healthy benefits it has on the body, including aiding in digestion and preventing sickness and disease. Track the tasting – Use fun worksheets to go along with the taste test for increased participation and discussion about the foods. If doing at school, this is a great way to get a conversation about healthy eating started at home. You can download worksheets that we have created for a berry taste test, a stone fruit taste test and a tropical fruit taste test. If you host a taste test, take some pics and share on our Facebook page!